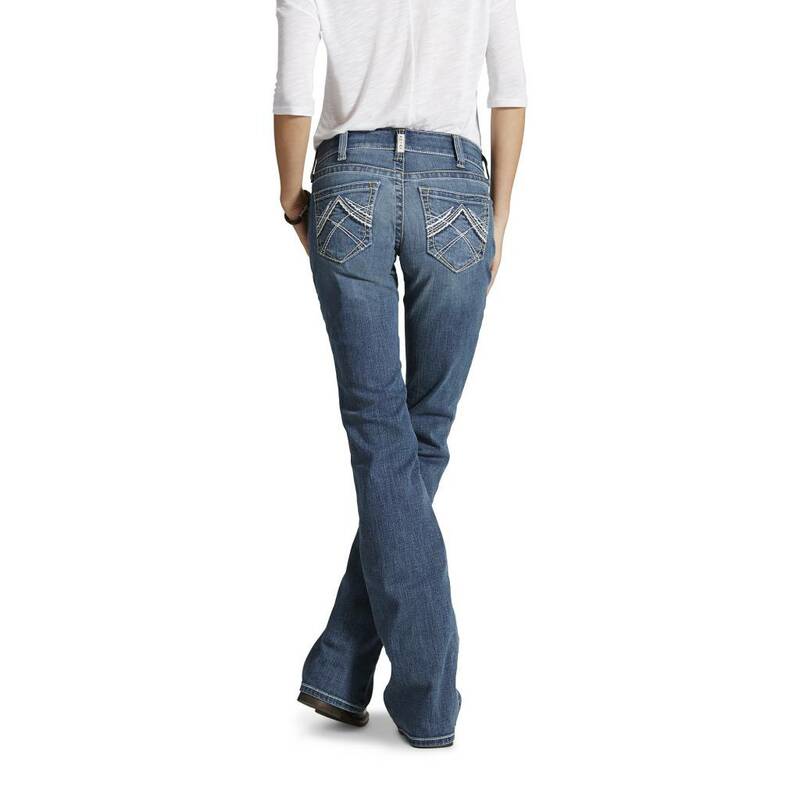 Ariat Ladies R.E.A.L Mid Rise Boot Cut denim jean. 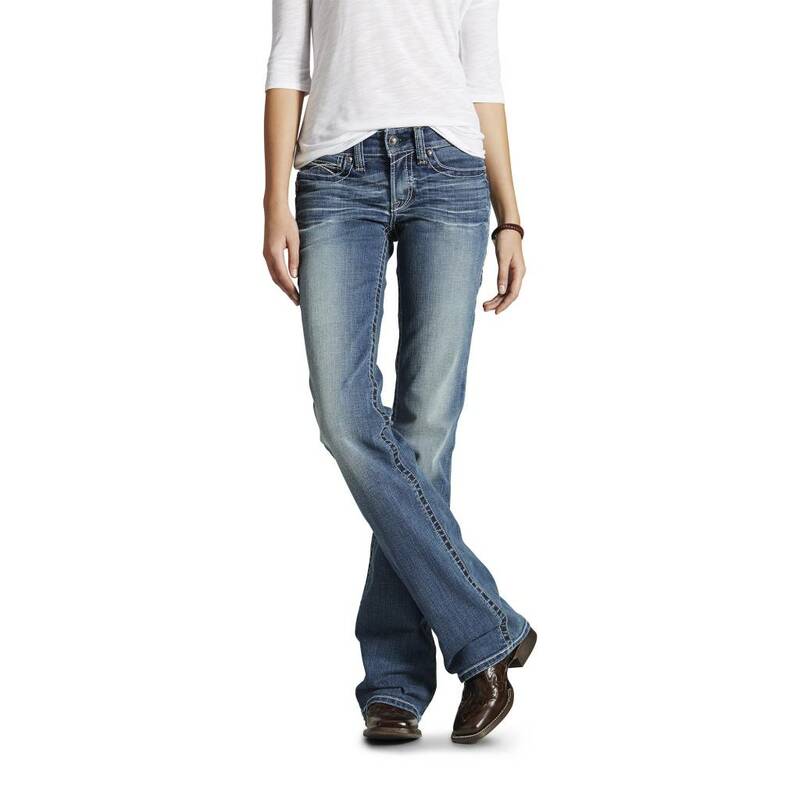 Great jean for a day out in the saddle, a night on the town or a relaxing around the house. Has just enough stretch to give you room to move. Features a great whipstitch pocket and sits mid-rise.